Adam Waller is the Director of Bands and Assistant Professor of Instrumental Music Education at Anderson University. Prior to his appointment at Anderson, he was the Wind Ensemble Director at the Johns Hopkins University and Assistant Conductor of the Wind Ensemble and Modern Orchestra at the Peabody Conservatory of Music. Recent performances of the Peabody Wind Ensemble under his baton have earned the conductor “Honorable Mention: Finalist” designation in the 2017 American Prize in Conducting – College Wind Ensemble category, and “Semi-finalist” in the American Music category. Mr. Waller also served on the music faculty of the Peabody Conservatory and Towson University where he taught undergraduate level conducting courses. From 2005-2015 Waller was the Director of Bands at Tabb High School in Yorktown, VA. Under his direction ensembles at Tabb consistently received Superior Ratings and were awarded the Virginia Honor Band and Blue Ribbon Awards. In addition to public school teaching commitments, he served as Music Director of the North Riverside Baptist Church Choir and Orchestra Director at the Liberty Academy of the Arts. He was a regular adjudicator and clinician for instrumental and choral ensembles in Music Showcase Festivals: Busch Gardens competitions in Williamsburg, Virginia was frequently called on to adjudicate state and local assessments in Virginia and Maryland. Waller is a current Doctoral Candidate and holds an Undergraduate Degree in Music Education and a Masters Degree in Wind Conducting both from the Peabody Conservatory of Music. Additional studies in advanced conducting include workshops at the Eastman School of Music, Michigan State University, Cincinnati Conservatory of Music, Hart School of Music and the Inaugural United States Army Band’s “Pershing’s Own” conducting workshop. 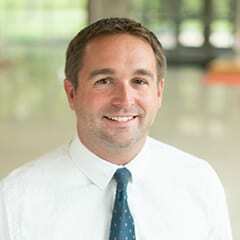 Adam Waller has been at Anderson University since 2018.